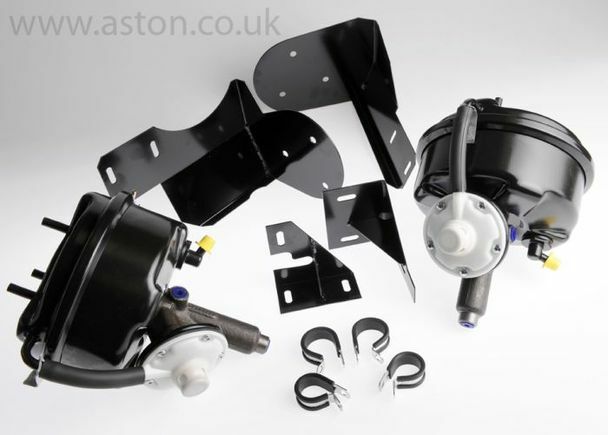 As the original brake servos for these cars are no longer available, we have designed a suitable replacement kit of servos and mounting brackets. The servos that we have chosen for our kit are of an increased brake boost ratio but of physical dimensions similar to the original specification. This increase in brake boost ratio greatly improves both the breaking quality and the safety factor when driving on modern roads. The initial response, from customers with this brake booster kit fitted, has been one of praise and satisfaction. A pair of servo support brackets.